Theatre Royal Drury Lane, Is it really haunted? 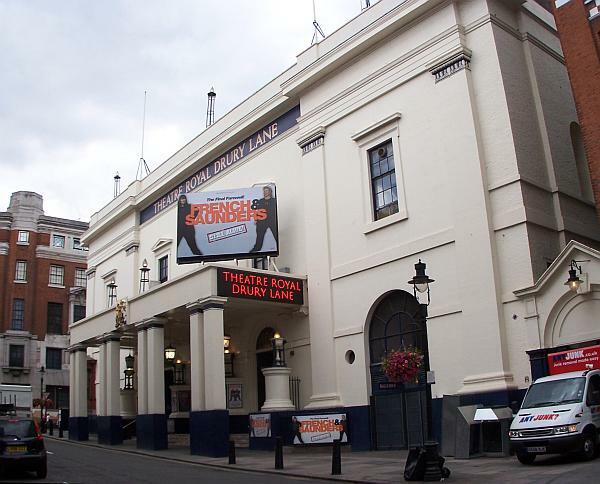 The Theatre Royal Drury Lane is a west end theatre in Covent Garden, the building faces Catherine Street and backs onto Drury Lane. The current building is the fourth theatre to stand in the same location, the first dating back to 1663 making it the oldest theatre in London. The first theatre was built by Thomas Killigrew in 1663 and was destroyed by fire in 1672. Killigrew then built another larger theatre which opened in 1674 and lasted nearly 120 years before being demolished to make way for a new, updated and larger venue. The third incarnation of the venue opened in 1794 and lasted only fifteen years before it too was lost to a fire in 1809. The building that still stands today was built and opened in 1812 and is now a grade I listed building and is owned by composer Andrew Lloyd Webber. The most well known ghost of the theatre is the "man in grey" who appears in the audition room, but only during the day. He is dressed in an elaborate costume, including tri-corn hat, powder wig, cloak and carries a sword! People believe him to be the spirit of a man who was murdered nearly 200 years ago and whose body was sealed in a backstage room. When the body was discovered by workers in the 1800's it was found with a knife still lodged in it's ribcage, as well as clothing fragments from the same era as the clothing the ghost is seen in. Another famous ghost is believed to be the spirit of comedian Dan Leno who is still seen in the dressing room which he would have used. Also the ghost of former manager Freddy Fredericks has been seen by many people, the police were even called once by maintenance workers who saw the ghost entering a utility closet. Freddy Fredericks ghost has even been captured on film by security personnel.